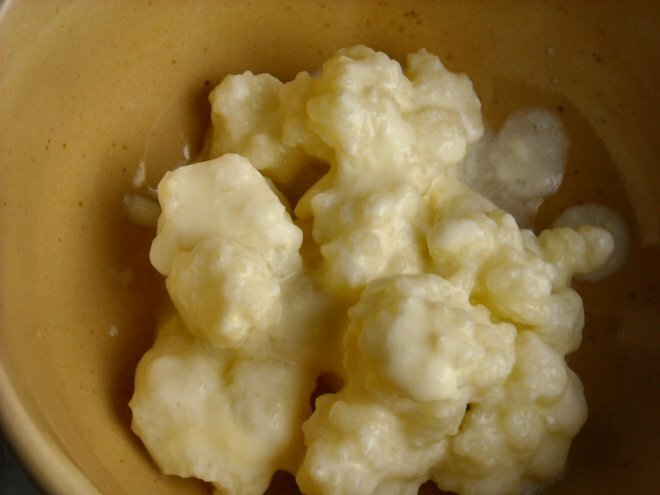 What is kefir and why would you drink it? The grains are made up of a community of yeast and bacteria. It has more good gut bugs (probiotics) than yogurt. So I drink it cause it is full of beneficial bacteria, has antioxidant properties, and because it tastes so darn good! Do not confuse the kefir you buy at whole food market near the yogurt with the kefir that you make with real live kefir grains. The store bought kefir tastes like a drinkable yogurt with a sharp lactic acid bite. 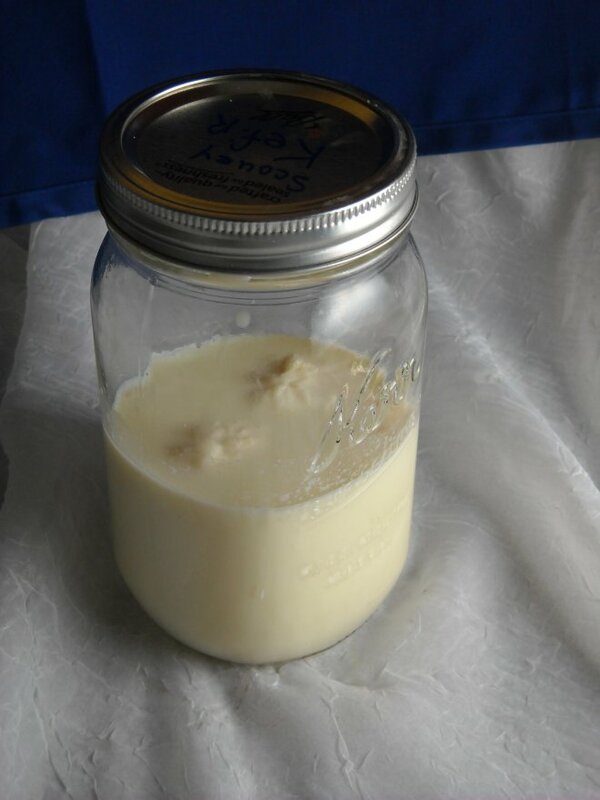 Homemade kefir is sweet and creamy, less sour with a bit of a zing. Store bought kefir is good... until you taste real kefir. 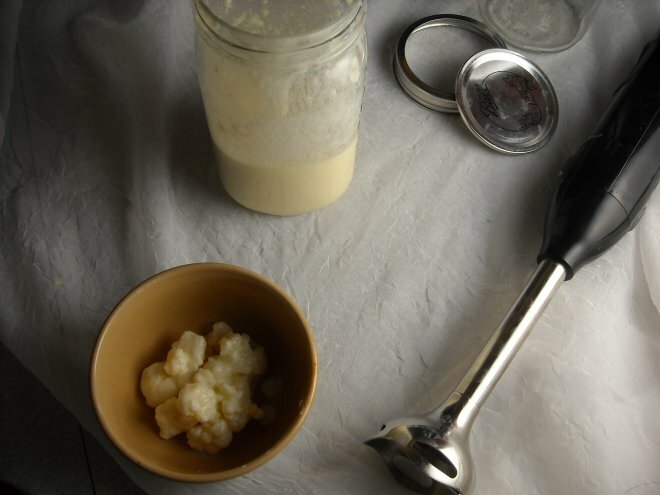 Kefir you make at home using grains is effervescent, sweet with some slight sour notes, and creamy smooth texture. I use kefir in place of buttermilk. If i need yogurt I pour it into butter muslin and hang it for 12 hours to drain the whey. For cream cheese hang it longer. Easy peasy no? You place your fresh grains into a clean mason jar and pour dairy milk over it. I like my kefir fizzy so I lightly screw on a cap. Let it sit out over night to ferment. If you prefer a sour lactic bite to your kefir let it ferment longer. Once it is to your liking strain the kefir grains out. Metal is not recommended since some say it upsets the balance of the grain colony. What you have left behind once you remove the grains is Kefir! At this point it will keep refrigerated for a week. I make about 2 cups worth daily and drink it as soon as it is ready. You can add fruit and sweetener if you like. I do a quick blend in the jar with my immersion blender for a smooth creamy mouth feel. Drinking curdled milk is not appetizing to me so a quick blend really makes a difference. Once you have stained out your grains place them in a new clean mason jar and cover with milk. Repeat often! Don't for get to enter my give- away for a chance to win a $50 store credit! 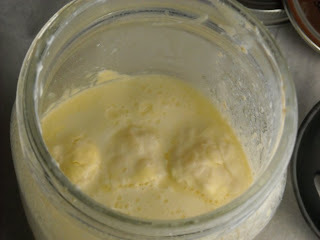 I drank kefir for quite awhile, neve thought about making it.....I bet its a lot better that the store bought. I love kefir and I'm really intrigued by how the flavor will differ from making it myself. I'm going to have to try this some time...thanks for the education! thank you for your comments! 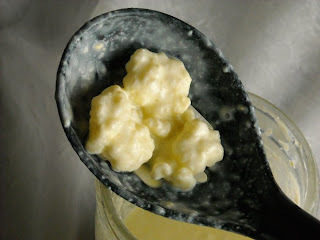 I was not really sure a post about kefir would spark much interest. I highly recommend those of you who are interested get some grains and start fermenting! 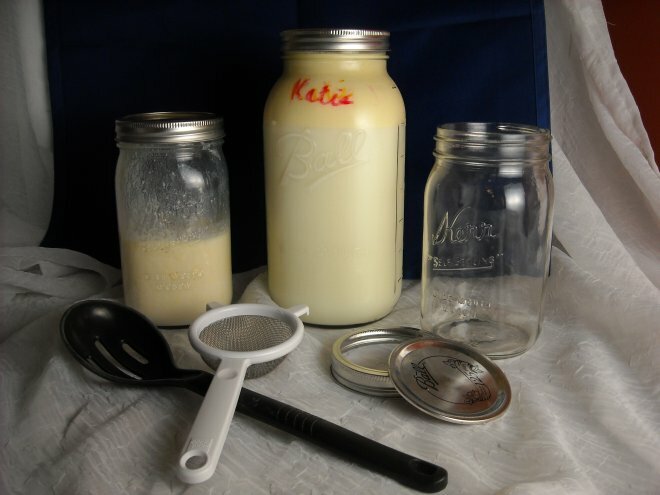 Let me know if you make your own kefir.